I am a skiller, I do not plan on getting combat on JBrm. 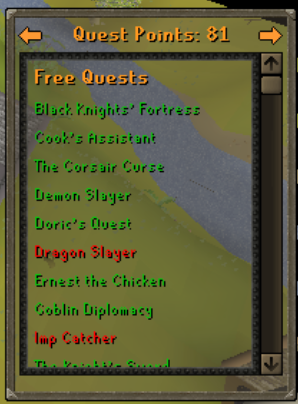 My intention in the very long future is to go for a quest cape on iTz WikKed. 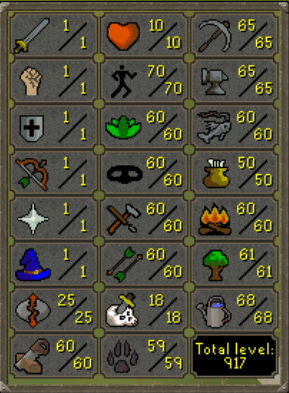 I started playing Runescape back in 2002 and quit in 2010. A friend told me about OSRS mobile so I checked it out and hopped back in the game. Been back for almost 3 months now, and am looking for a friendly community to just chill and chat with. No clan history, I usually join the Zezima clan chat just to have some communication with other people. I'm 23, work as a front desk clerk and have a lot of time on the job to play RS but am afk a lot of the time since I have to deal with guests. I have mobile so I am very active. Other than that I just hang out with my wife, pretty simple. How did you hear about us? Going through OSRS forums. What makes you want to join us? You've been around since 2003, so you guys obviously know how to keep a clan running which is very important. 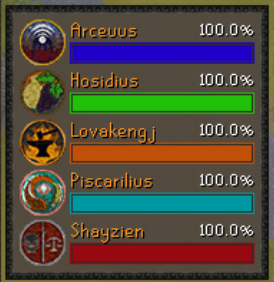 I get pretty lonesome while skilling all by myself so I'd like a good community to talk with. Come clean about anything that may deter us from accepting you: I use curse words often when I'm talking, but I can refrain from doing so when it comes to speaking to the clan or at events I participate in. Hey! Best of luck brother!